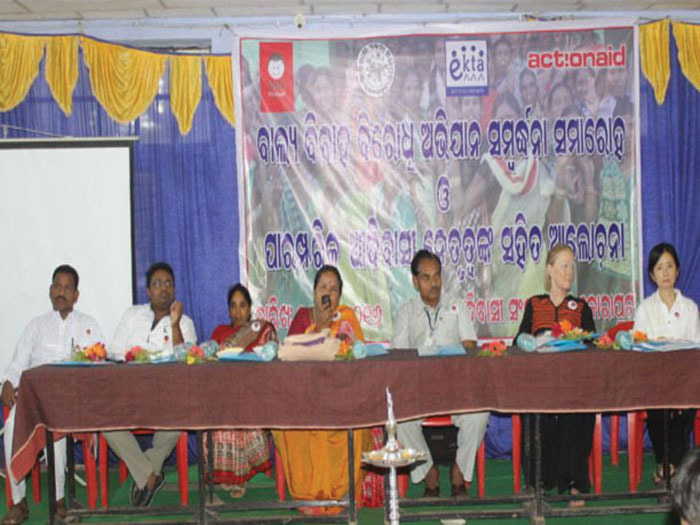 Campaign to combat child marriage felicitation ceremony and interaction with tribal community leaders has been organized at Tribal Museum of Koraput on dated 21st June, 2016 by joint collaboration of AES, Ekta and Actionaid. The objective of this event was to felicitation community members, individual parents and traditional leaders who had given excellent contribution towards stop child marriage in their locality. It was also a platform where the victims got an opportunity to share their experience, struggle and success before the policy makers, civil society and Intellectuals. The following children and their parents were felicitated for their excellent initiative to stop child marriage by the Guests. Traditional Leaders called “Disari” in the local language were felicitated by the guests for their excellent contribution towards stop child marriage in their respective villages in the district.